The rejuvenation my hair needs after weeks of product build up has made it hard to manage. 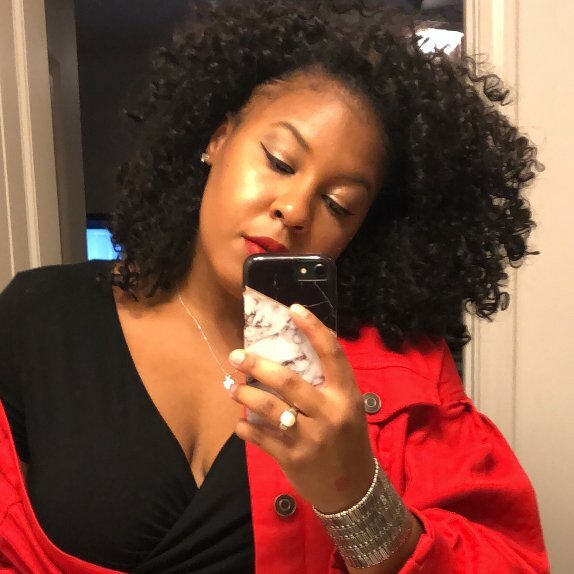 The DevaCurl Buildup Buster is one of my favorite new additions from the brand. It is very different from other cleansers because is has micellar water in it and the difference in clean is noticeable. It lathers nicely and leaves curls clean and back to being bouncy. Day one curls are much better achieved with this on your side. Not bad. I use the fragrance free because I have very sensitive skin and like to use a lot of natural products that do not have fragrance or dyes. It did the job. Pretty gentle formula. The only room for improvement I see is placing more wipes in the package for the cost. Love these. Gentle yet effective clean. I use the Dickinson’s Original witch hazel daily and these cloths on days I wear make up. It totally met my expectations and I would recommend these to anyone looking for non harsh products. The most appealing thing about this face wash is the scene and the natural ingredients it consist of. It did the job of effectively cleaning the face although wasn’t as great with removing makeup. It is a little pricey but if you like the philosophy brand, don’t wear heavy makeup daily and just want a pleasant, natural but effective daily wash this is for you! This is the best face wash on the market. I have been using it for about 2 years now and it works just as great as the first day I used it to cleanse my face. The ingredients in it are very natural and the face wash doesn’t have any added color, so it is clear. I have oily/combination skin and this face wash still gives me the perfect balance. It removes makeup like magic and since using it my dark spots and overall skin clarity have changed 100%. I highly recommend this product. I order it in bulk from Amazon. This makes me GLOW!! I really like this night cream. The only reason I didn’t give it 5 stars is it is simply too heavy for day wear. Yes, it is night cream but in the winter I wear my night cream during the day because my skin gets so dry. This is even too heavy for me to wear then. It’s best when you apply at night, wake up in the morning and wash off before your day. Still good. This was not good for me. I am giving it 3 stars because I believe it will be alright for other skin types. Just not mine, I have oily/ combination skin and this mask was too hydrating for me. This would be better for people with really dry skin. I was also not a fan of the smell. Personal preference. I really REALLY love this. It is made of natural ingredients and so gentle on my skin. The witch hazel and aloe give me a glow without looking too oily. My blemishes have cleared up tremendously and dark spots have been reduced in just a month or two of use. It’s also fragrance free so I don’t have to worry about my sensitive skin reacting to unnecessary perfume on my face. This was ok. Results weren’t noticeable. I wouldn’t say it was good but I wouldn’t say it’s the worst mask I’ve ever tried either. The charcoal and tomato mix just didn’t do anything for my skin except somewhat dry it out.